हैदराबाद में 150 बिस्तर क्षमता वाला सुपर स्पेशियलिटी अस्पताल 2013 FY में कार्यात्मक हो जाएगा और शहर में यह कंपनी से दूसरी परियोजना है, पहला एक 450 बिस्तर क्षमता वाला एक तृतीयक देखभाल अस्पताल, जिसकी परिचालन की उम्मीद 2013 के अंत में है. 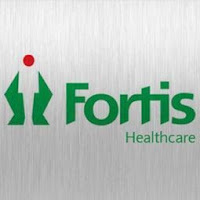 Fortis Healthcare (India), continuing its aggressive growth in India, has launched two hospitals, one in Hyderabad and other in Agra. With launch of these two new hospitals, Fortis Healthcare has increased its India network to 68 hospitals. The super-speciality hospital in Hyderabad with a 150-bed capacity will be functional in FY 2013 and is the second project from the company in the city, the first being a tertiary care hospital with a 450- bed capacity, which is expected to be operational end 2013.